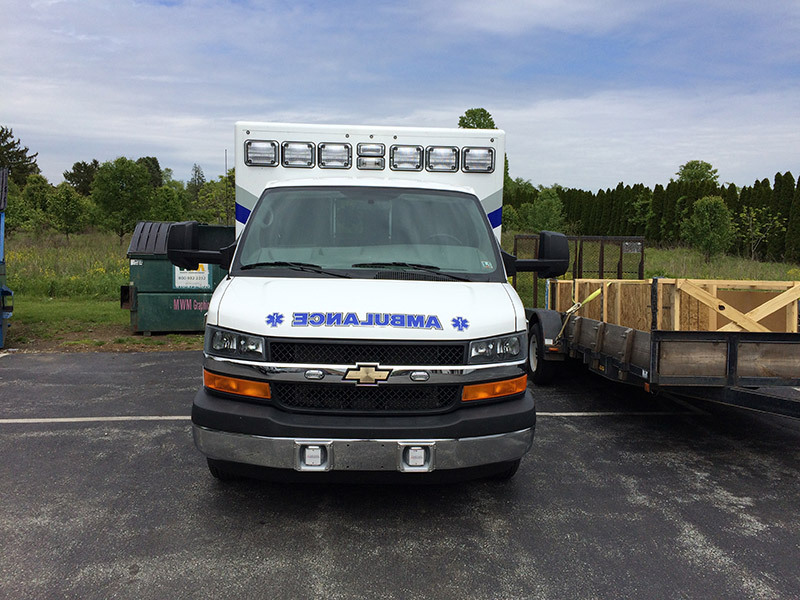 We recently completed these vehicle graphics for Pottstown Memorial Medical Center’s new ambulance. These custom vehicle graphics clearly display information about the hospital and the ambulance on all the sides of the vehicle. 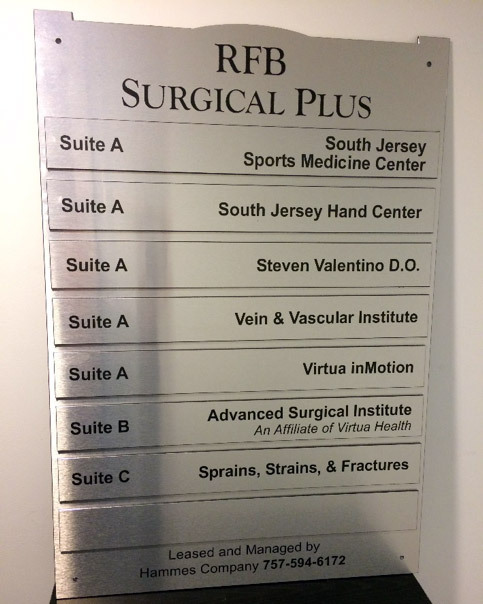 Elmark Signs designed and manufactured these stylish brushed aluminum signs for Advantage BFS with brushed aluminum faces and standoffs for their professional building in New Jersey. The aluminum, internal signs included a ADA compliant braille on each sign. Elmark Signs helped County Corvette of West Chester with their move to 325 Westtown Rd. 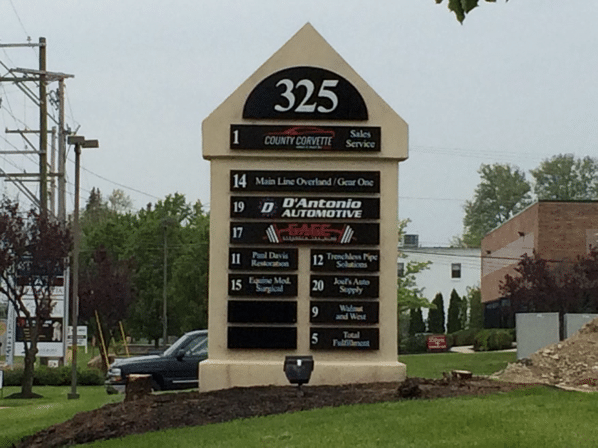 We created new dimensional signage for their building and refreshed the pylon sign out front. The new sign stands out from those who drive by the shopping center. Learn more about business & company signs. 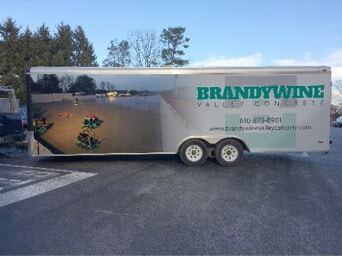 Look at the great transformation of this utility trailer for Brandywine Valley Concrete as designed and completed by Elmark Sign & Graphics. Vehicle graphics give you a great opportunity to showcase your business 24 hours a day. Learn more about vehicle graphics & wraps. Elmark Sign & Graphics specializes in box truck graphics. 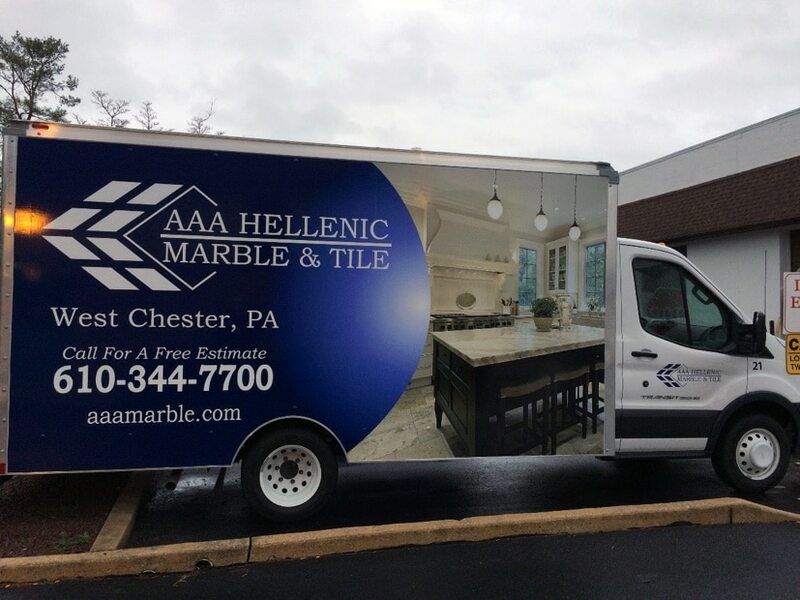 These graphics are a great way to make your vehicle or trailer into a rolling billboard. If you want your business to get 24/7 exposure in 2016, then learn more about custom vehicle graphics. Some great examples of our work are shown below. 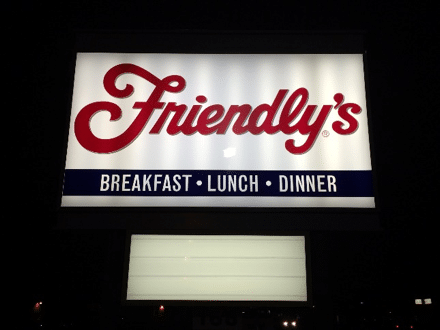 Elmark Sign & Graphics recently helped the Friendly’s Restaurant in Horsham, PA, Montgomery County with their rebranding program, completing all of the sign changes including the illuminated monument sign, wall graphics, awning and dimensional letters. 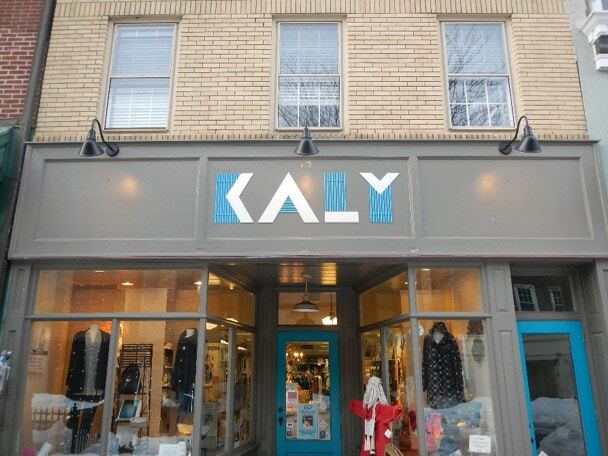 Learn more about our custom signs in Horsham. 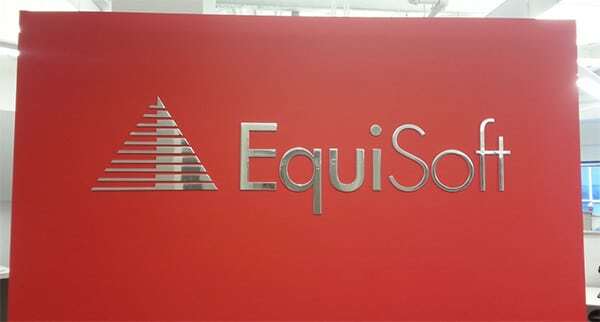 Elmark Sign & Graphics recently helped Equisoft, in Philadelphia, with their branding and image by installing this polished aluminum corporate logo on their reception area wall, and creating this dimensional wall sign with raised lettering and standoffs for outside of their front door. 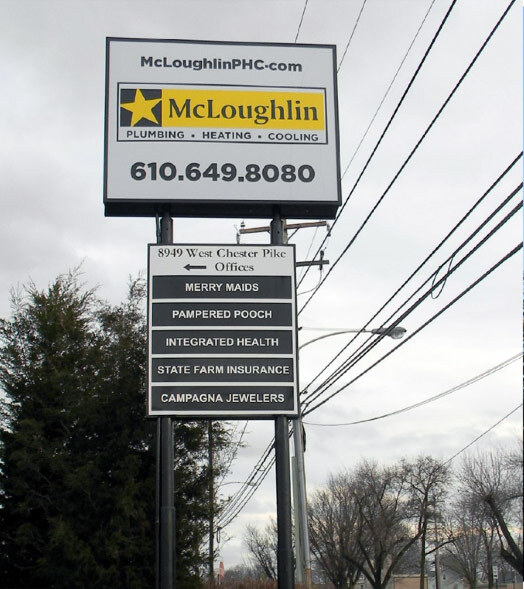 Learn more about sign projects in Philadelphia. ©2018 Elmark Signs and Graphics. All rights reserved.